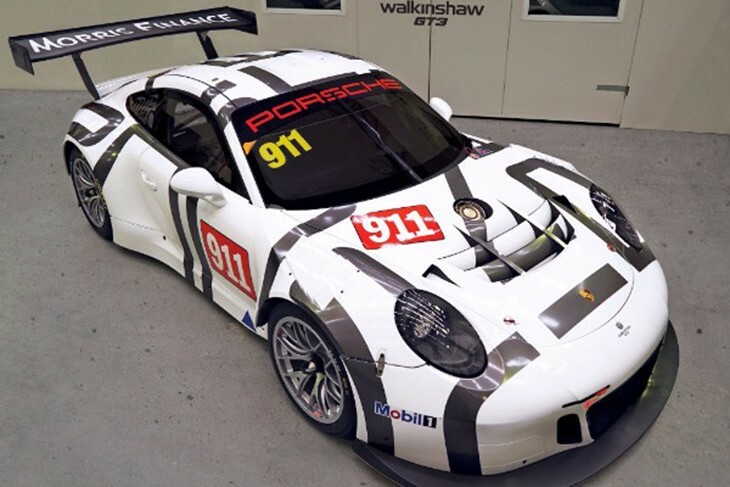 Walkinshaw Racing’s Australian Porsche effort looks set to expand in the wake of the outfit’s public debut of the new Aussie GT-bound Porsche 911 GT3 R at last weekend’s Porsche Rennsport Festival at Sydney Motorsport Park. The very excellent speedcafe.com reports that the team have “tentatively earmarked” a further pair of GT3 Rs from the next batch of cars in an effort that now encompasses a number of team members freed up by the reduction in V8 Supercars run by the team. The car carried the factory GT livery for the Porsche festival, and it will retain the black on white colour scheme for its race debit this weekend at Barbagallo, Perth as a thank you for the technical assistance rendered by the factory. Here’s team manager Mathew Nilsson giving a guided tour of the team’s new baby. As previously announced, ex ADR Delta LMP2 driver John Martin will race the car for the season, joined by Duvaschen Padayachee for the Endurance Championship events.